The Tennessee Advanced Energy Business Council (TAEBC) is pleased to submit the following comments to the Tennessee Valley Authority (TVA) regarding its 2019 Integrated Resource Plan (IRP). TAEBC would like to reiterate our commitment to supporting TVA as it takes steps to proactively address the evolving utility marketplace. Our intent is to provide TVA with economic development trends and data to inform the utility’s decision on how best to meet future electricity demands while continuing its broader mission to deliver cost-effective, cleaner energy, that promotes the three-pronged mission of Economic Development, Energy, and Environmental Stewardship. TVA’s approach to the 2019 IRP represents the utility’s recognition of a shifting energy landscape and its role in becoming an energy company of the future. This is significant. TAEBC applauds TVA’s emphasis on flexibility related to this IRP so the utility is better able to respond and adapt to a changing energy marketplace. TAEBC also applauds the recent announcement of TVA’s utility scale RFP announced on April 1, 2019. While the details of the TVPPA/LPC driven Flexibility Resource Project (FRP) are not public or finalized, this is another opportunity to further advanced energy technologies and solutions in the Valley. While this IRP emphasizes aspects of advanced energy like distributed energy resources (DER), electrification and technology advancements—specifically pointing out as part of TVA’s mission under the TVA Act, the agency is called upon to be a leader in technology innovation– it stops short of fully embracing the advanced energy economy in a way that would have ripple effects across Tennessee’s and the Valley’s economy. The Tennessee Advanced Energy Business Council, through our comments, will lay out the case for TVA to more fully embrace the advanced energy economy. These comments are in the spirit of TVA’s emphasis on plan flexibility. In lieu of offering prescriptive comments, our organization will provide guiding principles for TVA to consider as it finalizes its IRP. TAEBC champions advanced energy as an economic development and job creation strategy. We exist to foster the growth of Tennessee’s advanced energy technologies, companies and jobs. Advanced energy is technology neutral – anything that makes energy cleaner, safer, more secure or more efficient is in the tent. At its core, we look to energy innovation as an economic development opportunity. We encourage TVA to examine the advanced energy industry and Tennessee’s leadership position within the industry as it considers its 2019 IRP. This is a growing and lucrative sector of our economy. States and regions that provide an attractive home for this industry — and its workforce – will be rewarded with jobs and capital investment. Primary examples of this are Google and Facebook locating data centers to the Tennessee Valley because TVA was willing to work with them on renewable energy goals. Additionally, Walmart is encouraging its suppliers to incorporate renewable energy into the manufacture of goods sold at its stores through Project Gigaton.1 In order to keep and grow these jobs in Tennessee, we need to ensure access to advanced energy and appropriately promote the programs or processes in place so Tennessee based suppliers can meet their customers’ sustainability goals. Globally, advanced energy is a $1.4 trillion industry. That is almost twice the size of the global airline industry and nearly equal to worldwide apparel revenue.3 Tennessee can be even better positioned to lead this industry because of our assets. The world’s largest companies are turning to advanced energy to power their operations, decrease emissions and gain a competitive advantage in the marketplace. Tennessee has a unique support system that connects companies with world-renowned technology, unique utility assets and a booming advanced energy industry to deploy and manufacture innovative energy solutions and surpass sustainability goals. More than 18,000 businesses are included in Tennessee’s advanced energy economy, providing access to a variety of solutions, skills and expertise. TAEBC encourages TVA to consider how its IRP might encourage or discourage economic development, capital investment and jobs in our region from the advanced energy sector. This includes companies that 1) are directly engaged in the advanced energy industry (i.e. manufacture advanced energy widgets), 2) deploy advanced energy technologies as part of a commitment to corporate sustainability and 3) provide professional services (i.e. installers, engineers, etc that locate operations and talent in the region to service regional customers). 1) To remain competitive at recruiting and retaining business and industry, TVA must offer and promote an attractive environment for these companies to meet their sustainability goals and deploy advanced energy technologies. Environmental groups sometimes write off TVA’s renewable energy progress because it does not have a defined Renewable Portfolio Standard. We do not want to same thing to happen with site selectors and those responsible for scouting states for expansion or location because they cannot readily identify TVA’s advantages and offerings. 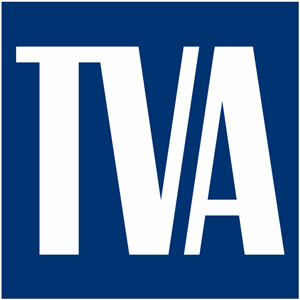 TVA’s new Renewable Investment Agreement (RIA) was developed in response to corporate demand. However, information on the program is not widely promoted or available. Additionally, the RIA was created mainly with solar in mind and opportunities exist to expand the technology offerings to align more with the TVA strategies identified in the IRP to support economic development recruitment and retention of some of the Valley’s largest existing and future employers. Allowing local power companies more flexibility to meet their end user demands for advanced energy is also a step in the right direction. The new Flexibility Resource Project (FRP) is a step, but lots of details and policies remain unclear and the marketplace cannot transact with vague guidelines. Clear, transparent and easily accessible information on these options is key to leveraging the economic development opportunities and maintaining customer control and retaining TVA and LPC customer relationships/revenue. 2) Allow for a blend of scenarios and strategies. Given the trends in our economic and energy landscape, it is likely TVA will experience a blend of scenarios and strategies. TAEBC has seen Fortune 100 and Fortune 500 companies across the country and Tennessee commit to reducing greenhouse gas emissions, increase energy efficiency targets or establish sustainability goals. Additionally, a new corporate alliance was formed this year called the Renewable Energy Buyers Alliance (REBA), a trade organization that will help companies take advantage of new ways to purchase clean energy. REBA aims to empower tens of thousands of companies to buy renewable energy in the coming years — increasing the market from roughly 5,000 companies today. REBA member companies include those with operations in the Tennessee Valley like Google, GM and Walmart. This means that TVA is likely to experience a scenario of Valley Load Growth (or at least demand for a certain kind of load growth), Decarbonization and Rapid DER Expansion. Additionally, a blend of strategies (Promote DER, B; Promote Resiliency, C; Promote Efficient Load Shape, D; Promote Renewables, E) can be an effective response to the above blended scenario. 3) Maintain and increase awareness of advanced energy trends and economic opportunities. Embrace these trends to TVA’s advantage. Three specific examples come to mind. Although there are more. The first has been mentioned multiple times—corporate America’s demand for advanced energy technologies in order to locate business in a state. Google and Facebook are primary examples. If our state’s economic development goal is to become the top electric vehicle producer in America, TAEBC believes TVA should complement this goal by making the Tennessee Valley the most electric vehicle friendly region in the country to fully leverage the economic opportunities from this industry. This needs more consideration in the IRP. Thirdly, the “hydrogen economy” is virtually upon us. Tennessee is a leader in hydrogen research. We encourage TVA to examine how that will impact its future. Conversion of gas turbines to burn hydrogen is trending now and has both economic and environmental benefits. Similarly hydrogen powered transportation is gaining ground. All this will impact TVA in multiple ways. We encourage TVA to use the IRP to increase technological innovation and investment in the Valley so that we may seize this opportunity and emerge on the winning end of this trend, rather than fall behind. Another example not mentioned in the RFP is waste-to- energy technology that can assist Tennessee’s pulp and paper industry. Resource planning should include both TVA-built resources and procured third-party resources; as well as take into consideration customer-sited and demand-side management resources. Correctly valuing distributed energy resources (DERs) is critical to integrating the benefits they offer to both demand and supply side operators. Valuing a stack or system of DERs is a challenge that must be addressed as the net benefits may increase when certain technologies are used together. Thank you for the opportunity to provide comments. TAEBC stands ready to assist TVA as it becomes the energy company of the future. As of Monday April Fool’s Day, the public has exactly one week to submit their comments to TVA’s 2019 Integrated Resource Plan. The IRP provides a long-term vision for how TVA can best meet the Valley’s need for power during the next two decades. According to the draft, the IRP will impact how TVA supports environmental stewardship, encourages economic development, and offers low-cost electricity in the area. TAEBC’s utility relations committee will be responsible for drafting TAEBC’s comments, which will be made public to our members and stakeholders. If you would like to participate in this process, please email TAEBC’s vice president Cortney Piper here. News outlets have been reporting the agency’s plans focus on increasing flexibility, with the addition of smaller-scale and localized “distributed generation” and renewable power sources. According to the Knoxville News Sentinel, the IRP lays out all combinations of six possible scenarios and five agency strategies. The scenarios are: TVA’s current “base case” projections, an economic downturn, growth of power needs, a strong push to cut carbon emissions, rapid development of distributed generation, and opposition to extending nuclear plant operation. You can view the draft IRP and submit your comments here. Restaurants use a lot of energy to not only prepare and cook food, but to cool kitchens, dining rooms, and other spaces. A new high efficiency, ultra-low emissions commercial water heating and space cooling unit, which begins field demonstrations at two Southern California restaurants this week, could dish out energy savings, lower operating costs, and reduce greenhouse gas emissions for foodservice and hospitality facility operators. The new technology uses a thermally driven heat pump fueled by natural gas or propane to capture ambient energy, achieving a heating efficiency of 140 percent or greater. It is projected to reduce energy use by 30 to 50 percent compared to standard natural gas water heaters. The highly-efficient heat pump also provides space cooling simultaneously, which reduces the need for air conditioning and can help lessen electricity use. Stone Mountain Technologies, Inc. (SMTI) developed the new heat pump by redesigning heat pump technology traditionally used for cooling and focusing it on heating with cost-effectiveness and scalability in mind. GTI is leading the demonstration, and AO Smith Corporation is also providing support. Project funding was awarded by the California Energy Commission and Southern California Gas Company (SoCalGas) research and development funds authorized by the California Public Utilities Commission.